Do you use slide decks for church volunteer training? You likely do a lot of teaching and training in your your church. Making church volunteers squint to read your slides should never happen. Boring them is a sin. Teach a Sunday School, mid week Bible Study. Prepare church volunteers for various service roles. Equip Small Group Leaders for the next season of groups. Conduct workshops for your presbytery, council, or other regional church bodies to equip others. You’ll want to share an effective presentation that will help them remember the volunteer training you’ve prepared. 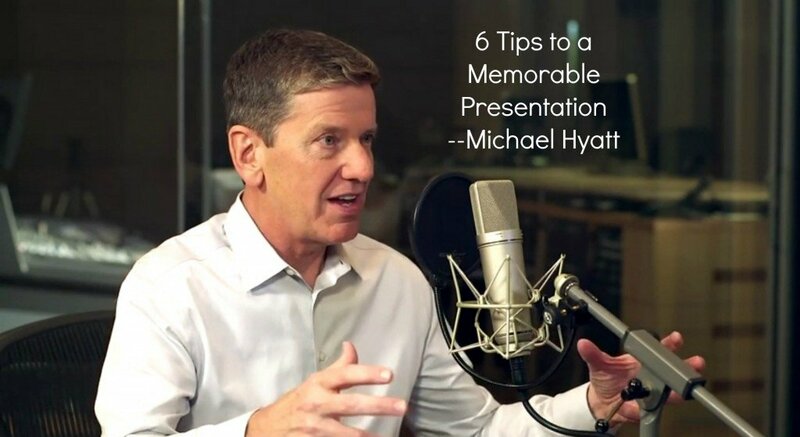 If you want to avoid frustrating your audience, creating cognitive dissonance, and leaving more confusion than you wanted, you might want to check out these six points that Michael Hyatt follows in creating a memorable slide presentation for live talks. Michael Hyatt is the communication guru who wrote the excellent book Platform – Get Noticed in a Noisy World. Here, he discusses issues in creating slide sets that actually communicate well. While the six points in here are pretty clear and I am familiar with each of them, I know I’m still guilty of breaking them, particularly the one Hyatt shares of having 80 slides for a 60 minute talk. I did appreciate a side comment about the number of slides in a webinar format. Hyatt mentioned the desired goal of 2 slides each minute for a webinar format. In a live presentation where you are standing in front of your audience, that is too much visual stimulation. The entire 30 minute interview is worth the listen. After you make notes of the 6 points in here, think about your upcoming presentation. What can you improve on after listening to these 6 points? Which one of these will help you the most? If you could add number 7 to avoid “Death by powerpoint”, what would you add?